1. We want everyone to have a good time and to feel free to move, run, dance, paint and PLAY. So, please, remember to dress appropriately. 2. Let your child choose his/her activities and experiment freely. All ways are correct, provided they are safe. 3. Remember, each child has his/her own style of learning. Some learn by trying everything in sight and others learn by watching. It’s important to respect a child’s natural style, giving him/her support and encouragement. 4. You can assist your child throughout the class by talking with him/her about the activity and by joining in. You may make your own discoveries along the way! 5. Have fun and feel free to talk to us at any time about the class. Our philosophy is to provide a warm, nurturing and child centered environment in which the children can make friends, be active in the fresh air, and enjoy the summer under the supervision of caring adults. Our groups are small so that we can provide appropriate attention to each child. Our professional staff is selected for their educational background, early childhood training, teaching experience and for their sensitivity to the individual needs of the young child. Campers are provided with opportunities for discovery and exploration in the comfort of our air conditioned building and on our state–of-the–art playground with built in sprinkler system. Our 2’s program is designed to provide each child with a successful first separation experience while enjoying indoor and outdoor play, music, art, and literature. The first few weeks will be a modified, shortened schedule to help campers feel comfortable and secure at camp. We ask that a parent or caregiver remain in the classroom or in the building for the first week to assist with the transition. Our 3, 4 and 5 year old campers will participate in a variety of activities including arts & crafts, cooking, music, science, water play, and story time. All of our campers that attend on Fridays celebrate Shabbat together with joyous songs and projects. Over the summer, 3 year old campers will create a Shabbat Box with everything needed to celebrate Shabbat at home. Our 4 and 5 year old campers have hands on opportunities to explore Shabbat, including making challah and candles. We look forward to an active, hands on camp experience. 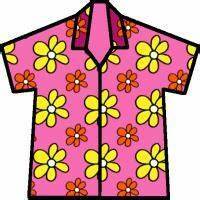 Please send your child to camp dressed to play and explore. Campers should wear sneakers or other sturdy shoes. Please apply sunscreen before coming to camp. Our 3’s, 4’s and 5’s will have the opportunity to play in the sprinklers every day so these campers should come to camp dressed in a bathing suit under cool, comfortable clothes. All clothing should be labeled with the child’s name. A nutritious mid-morning snack will be provided for each camper. We will continue our successful fruit and vegetable program at camp so our campers will have a variety of healthy snacks. On Visiting Day, you will get a schedule with your family’s day to send in fruits and veggies to share with the class. All 3, 4 and 5 year old campers should bring lunch. All lunches must be dairy and nut-free. 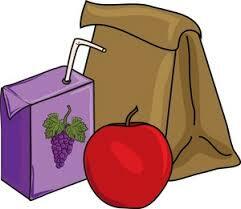 Lunches are not refrigerated, so please use an insulated bag with an ice pack. The CAI-ECC strives to be nut free (peanut and tree nut) and we ask that you don’t send in foods that contain nuts, may contain nuts, are made on shared equipment or are made in a shared facility. Order forms for bagel and pizza lunch will be available in May.